There are books that are for story tellers. There are books that are for artists. 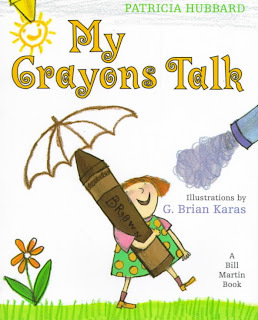 There are books that are designed to give a message or idea. There are books to make us laugh. And then there are books for the soul. They touch on everything - but oh, so lightly. But they leave an indelible imprint. Happy is one of those books. 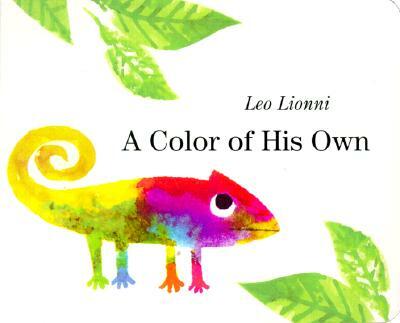 It is perfect for Perfect Picture Book Friday. I am in awe of how colour and a few squiggles can so effectively communicate emotion. 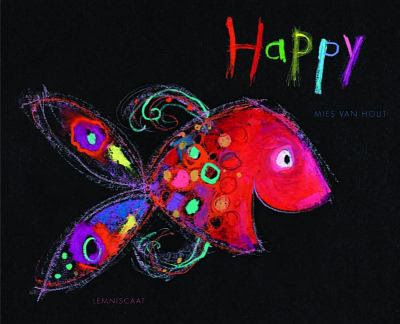 The connection between colour and emotion that is explored in Happy caused me to think about how that is explored in other books. This week end, I am happy because I get to see my son who moved 4000 miles away to go to university in September. Someone is going to get a huge mama hug and a bunch of chocolate chip oatmeal cookies to take back to school and get him through the last month before he comes home for Christmas. What will make you happy this week end? I hope that you and your son have a wonderful time sharing work on an important project. 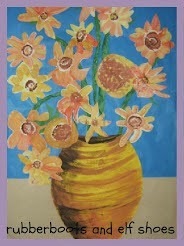 Happy painting. Thanks Barb. We are all meeting in Vancouver for the Paul McCartney concert. The icing on the cake is that it is my son's 18th birthday, so I get to see him and take him out to dinner for his birthday. Beautiful! I envy your visit - I haven't seen my daughter for 3 months, and she is 5,000 miles away. Enjoy it- for the both of us! Thank you, Julie. I will. Have a wonderful weekend with your son! This book makes me happy! Thanks, Joanna. I am looking forward to seeing my almost all grown up baby. 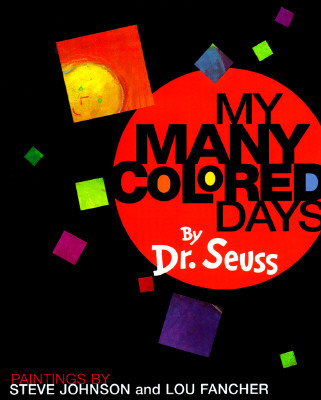 This book sounds wonderful -- and thank you for sharing all the other titles with us as well. Enjoy your time with your son! It is amazing in its simplicity. Thank you. I am looking forward to seeing my boy. Very unique book. 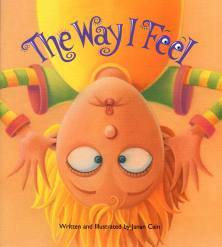 I like the emphasis on helping children identify an emotion they are feeling. Beautiful share with lovely illustrations. The illustrations are amazing, I am in awe of talent that can make a few lines and squiggles say so much. I love the solid coloured backgrounds of each picture, it makes them pop. 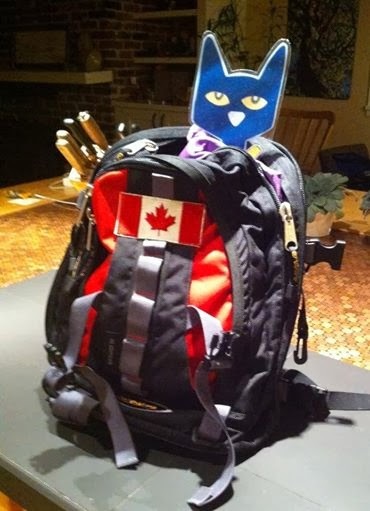 I'm heading to Vancouver too, to take in some craft sales and hang out with a girl friend - away from thinking about work for 24 hours - enjoy your time. What a great cover. I pinned this on my Books To Read on Pinterest. Looks wonderful. Thanks for sharing. I've never seen the Happy title before. Its now on my list! Enjoy your time with your son! Im at my sons 1st away hockey tourney. Memories in the making! 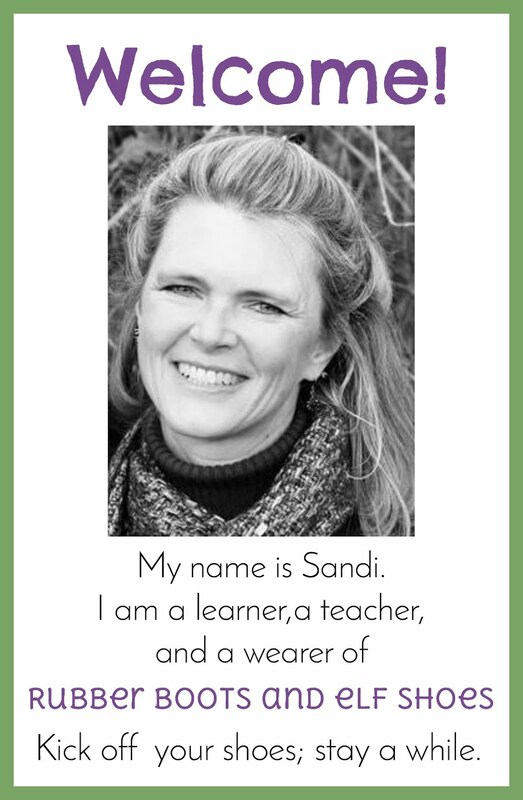 Sandi...wonderful book for PPBF...and I love the others you listed...I've seen a couple of the others...but not 'Happy'...so thank you for helping me find it. 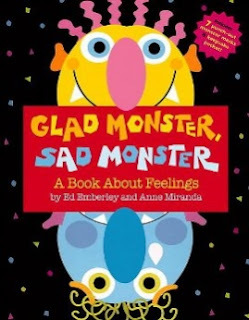 I'm always looking for books that encourage kids to express their feelings!